Great Pics Photobooths is based in San Diego and we are always talking with clients about beach weddings so I love when I find cute and unique ideas for beach weddings. These table cards are so clever. 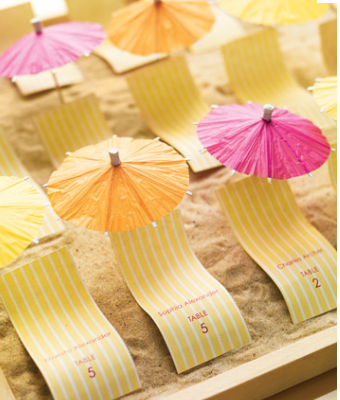 It is easy to give a special ambiance to any wedding with small little touches like adding unique table cards tied to your beach theme. You could also add some little umbrellas to the drinks in the same colors. I found these on the uniquebeachwedding.com site.